Stroll down the wooden path onto powder-soft sand and emerald green waters. Prepare something special, light some candles, and enjoy the sunset. There's space for cooking, chilling, and everyone in your group. Spend the day on the warm sands of the Gulf directly in front of the resort. The beachfront Emerald Isle rises above the snow-white sands of Pensacola Beach and is located in a gated community, giving your family peace of mind for a safe vacation. When you check in to the resort, make a pit stop at your condo to get changed into swimsuits and put on sunscreen. You’ll have two outdoor pools to choose from, and one of them is heated! Go for a swim or relax poolside and judge the kids’ cannonball contest. After the pool, have the kids grab their buckets and shovels and reapply sunscreen. The resort has a boardwalk directly to the beach and offers beach equipment and gear rentals. Set up camp on a beach chair and adjust the umbrella for the perfect amount of shade. Catch up on your celebrity gossip in the latest issue of US Weekly or finish that paperback you picked up at the airport. Challenge the little ones to see who can build the tallest sandcastle. Elegant two- and three-bedroom condos sleep six to eight guests, are air-conditioned and have gulf front views. All condos feature floor-to-ceiling windows and rich wood furniture. Start each morning with chocolate-chip pancakes thanks to your full kitchen. Let the little ones assist with mixing the batter (and making sure that there are enough chocolate chips). In-suite washer/dryers allow you to pack less and save space in your suitcase. There’s no need to miss today’s episode of Ellen; you’ll have flat screen TVs with cable. Keep evenings simple with a family movie night thanks to the DVD player. Bring favorite movies from home, pop some popcorn and call the family into the living room. First kid on the couch gets to pick the movie. Up for a day of shopping? You’re in luck! 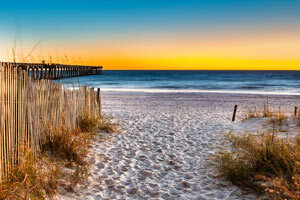 Pensacola Beach Boardwalk is just a short walk from the resort. Envie Boutique features apparel for men and women, swimwear, footwear, and accessories. Lilly Pulitzer, Kendra Scott, Vineyard Vines and Free People are just some of the brands that you will find at Envie. Pick up a new pair of sunglasses or beach apparel at Islanders Coastal Outfitter. Go Fish Clothing & Jewelry Co. has home decor, inspirational souvenirs and gifts, and women’s apparel and jewelry in Nautical and religious designs. When you get hungry, there’s Cactus Flower Cafe, Bamboo Willie’s Beach Bar and Hemingway’s Island Grill. At the Pensacola Children’s Museum, little ones will learn about the history of Pensacola, including Native American and Civil War history, maritime, military and multicultural history. At the Discovery Gallery, they can experience colonial life. They’ll have so much fun they won’t even realize that they are learning. - The check-in location differs from the property location. To check in, go to 18 Via DeLuna Drive. Check-in is at 5:00 PM but cannot be guaranteed until 6:00 PM. Guests planning to arrive after hours must contact the resort at least 48 hours prior to arrival to receive late check-in instructions. For more details, please contact the office using the information on the reservation confirmation received after booking. Restrictions may apply regarding the number of people that may accompany a parent or legal guardian. Additional restrictions may apply during the spring break vacation period. Chaperoned groups are prohibited. You lose the crowds, but keep the beach. Pensacola is home to Gulf Island National Sea Shore, which offers nature trails, fishing, and boating. Also don't miss canoeing on the Blackwater River. The town is known for its military history and has a number of museums and monuments.